Supplied by an ENplus certified trader, our wood pellets achieve the high standards we pride ourselves on at The Log Company. We only ever use the very best. The 6mm pellets are made from compressing wood dust at high pressure to the standards required by the Biomass Suppliers List. They come from 100% virgin sources from sustainably harvested woodland and have no additives whatsoever. They are classified as A1 grade. Price on application. For more details please contact us quoting quantity required and delivery location. We can supply bulk blown deliveries of biomass wood pellets to keep your biomass boiler burning throughout the year. Your biomass pellets will be delivered by a specialist fleet of delivery vehicles dedicated to wood pellet deliveries which have been designed to ensure minimal impact on the fuel in transit and during delivery. Low friction hoses used during transfer from the lorry results in a consistent pressure in line with the AEBIOM guidelines to guarantee the best fuel integrity into your store. The standard lorries carry up to 15 tonnes of pellets which can be blown up to 35m although 20m is preferred as this will cause less degradation of the pellets. Dust extraction is offered as standard, at no extra cost. Wood pellets are made as a bi-product of other timber production processes, often to reduce waste or to improve forest structures. All our pellets are from FSC sources, ensuring all the fibres, dust, chips and material used in manufacture are from sustainably harvested woodland. We are currently looking at obtaining FSC certification. 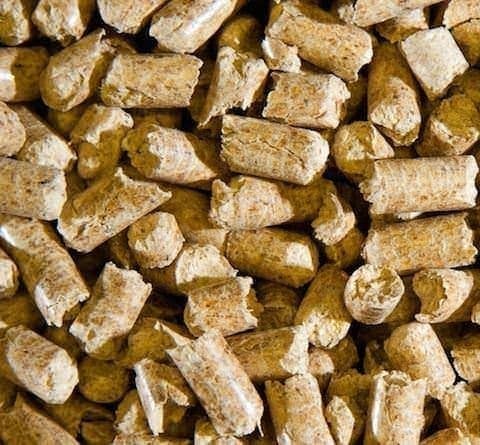 Biomass wood pellets are made from compressing wood dusts at high pressure, using the lignin within the cellular structure to act as the binding agent to form the pellet. No additives are required. All our pellets are from 100% virgin sources and classified as A1 grade. Not all wood pellets are the same, we only supply pellets that are manufactured to the ENplus A1 standard, are 6mm and within the standards required on the Biomass Suppliers List (BSL). They undergo rigorous testing at manufacture and again by us as part of our QC and third party accreditation, ENplus Trader certification. We offer active dust extraction as standard, with no extra charges; the price we quote covers the best delivery. All our trucks carry both Cam Lock and Storz connectors as standard and we are ENplus certified Traders. With specific and specialist trucks and screening plant at depots across Yorkshire, our fuel is some of the best around, matched with our service and engineering back up. We offer fixed price deals, long term supply contracts and service & maintenance packages to ensure trouble free biomass heating. Prices on application. For more details please contact us stating quantity required and delivery location.